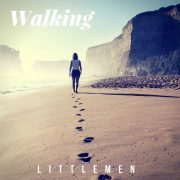 NEW single ‘Walking’ with Nick Allen on vocals. I am very happy to have played on a new single called ‘Walking’ recorded by a great bunch of friends & musicians, and sung by the amazing Nick Allen. Nick is a good friend and owns NAM Studios in Holt where artists such as Royal Blood, Robert Plant, Siouxsie Sioux, Magic Numbers, KT Tunstall, Van Morrison have rehearsed or recorded. Nick is singing on the track which he wrote, and the line up in the studio was Innes Sibun (Guitar), Christian Pattemore (Bass), Phil Andrews (Piano, Mandolin, backing vox, producer), Jo Nye and Steve Robinson (Backing Vocals). Check out the video below and keep an eye out for more tracks coming soon! https://www.robertbrian.co.uk/wp-content/uploads/2018/07/32781640_675510622801875_2705925646697103360_o.jpg 1400 1400 robb /wp-content/uploads/2017/03/robert_brian_logo.jpg robb2018-07-16 11:40:282018-07-16 11:40:28NEW single 'Walking' with Nick Allen on vocals. NEW Loreena Mckennitt album ‘Lost Souls’ is out NOW! Loreena McKennitt South American Tour.